A study in poetic interaction, The Odyssey in Athens explores the ways in which narrative structure and parallels within and between epic poems create or disclose meaning. Erwin F. Cook also broadens the scope of this intertextual approach to include the relationship of Homeric epic to ritual. Specifically he argues that the Odyssey achieved its form as a written text within the context of Athenia… n civic cults during the reign of Peisistratos. 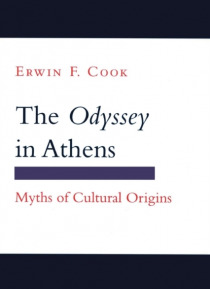 Focusing on the prologue and the Apologoi (Books 9-12), Cook shows how the traditional Greek polarity between force and intelligence informs the Odyssean narrative at all levels of composition. He then uses this polarity to explain instances of Odyssean self-reference, allusions to other epic traditions-in particular the Iliad-and interaction between the poem and its performance context in Athenian civic ritual. This detailed structural analysis, with its insights into the circumstances and meaning of the Odyssey's composition, will lead to a new understanding of the Homeric epics and the tradition they evoked.